An event request will be sent prior to the lunch. Please respond so that we can make reservations. New Zealand: My recent trip. An update: The Toronto Real Estate Market Today. 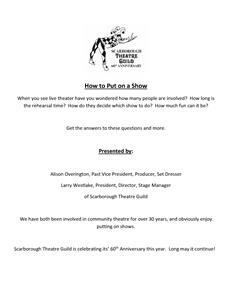 Community Theatre in Scarborough-How to put on a show.